Find our cheapest flights to Palmerston North from Auckland, Hamilton, Wellington and Christchurch. For a laidback rural experience, you can't beat the Manawatu region. Country life is an art form in this productive part of New Zealand. 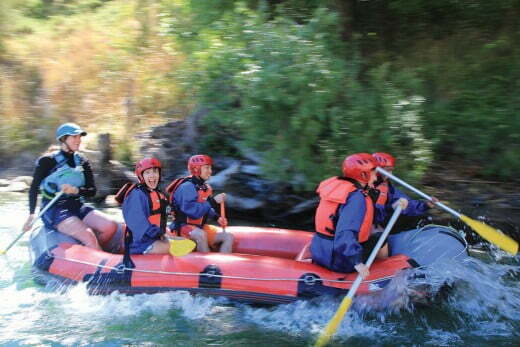 If you're looking for an escape from the fast life, point your holiday plans towards Manawatu. You can enjoy luxury retreats and farmstays, play golf, ride horses, hunt for antiques, hike in the hills and visit the largest stock saleyards in the southern hemisphere. It'll be a country break like nothing you've experienced before. The main centre here is Palmerston North, or 'Palmy', as it's known locally. If you love New Zealand's number one game, you'll want to spend a day or two here because this city has the country's only rugby museum. From amateur to professional, old to new, you can explore the entire history of the game. You can also test your skills in the 'have a go' area. Watch New Zealand's agribusiness sector in full swing at the Feilding saleyards. The best day to visit is Friday. Palmerston North is a university city, specialising in business and veterinary science, so there's plenty of young energy to keep things lively. Most restaurants and bars are concentrated around The Square, which is the definitive centre of Palmy. For fresh air and beautiful views, the best place to stretch your legs is along the Manawatu River Pathway - nearly 10km of fabulous riverside strolling right next to the city. 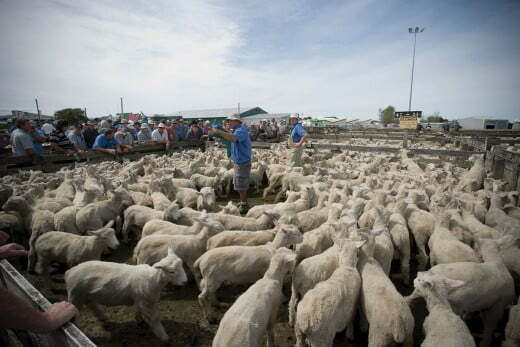 At the nearby farming town of Feilding, you can watch New Zealand's agribusiness sector in full swing at the saleyards. It's one of the largest livestock centres in the southern hemisphere and the best day to visit is Friday. A guided tour will give you the inside story. Another authentic experience can be found at Tui HQ, an iconic Kiwi brewery on the banks of the Mangatainoka River. You can't miss Tui's multi-storey historic building, which really stands out amidst all the pastoral green. Palmerston North is the closest airport to the Whanganui River, which is New Zealand's longest navigable waterway. There are some epic journeys to be had on and around this river, including mountain biking, canoeing and hiking adventures. Many of these experiences start at the inland end of the river, around the towns of Raetihi and Taumaranui. A recent arrival on the Whanganui adventure scene is the chance to ride the Forgotten World Railway - you can do this journey by rail bike or rail cart, with optional jet boat and helicopter sections. Palmerston North is a university town and can be quieter the during the summer break from mid-November to mid-February, when many students return home. January and February have the highest temperatures and least days with rain. Autumn colours are beautiful here and springtime is jumping with new life - lambs especially.